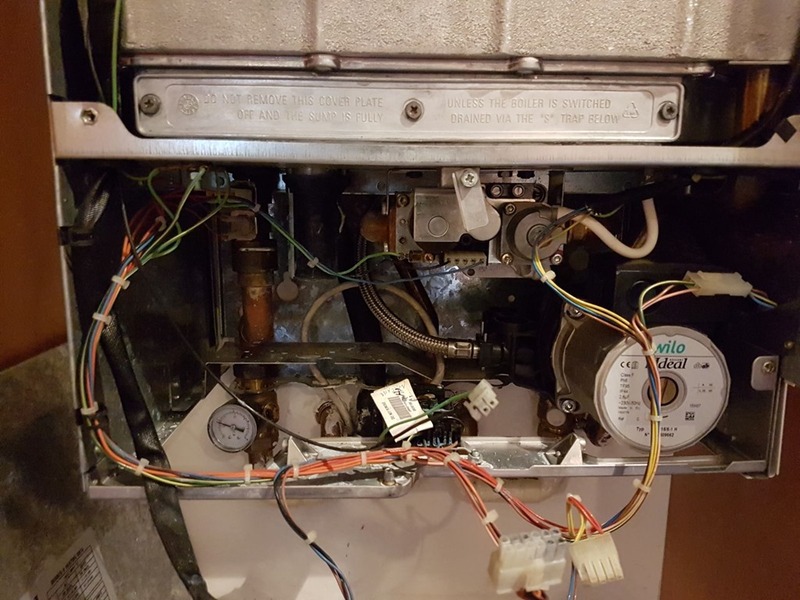 We have serviced this customer’s boiler for a number of years but as it became less reliable it also be came much less accessible to fix. 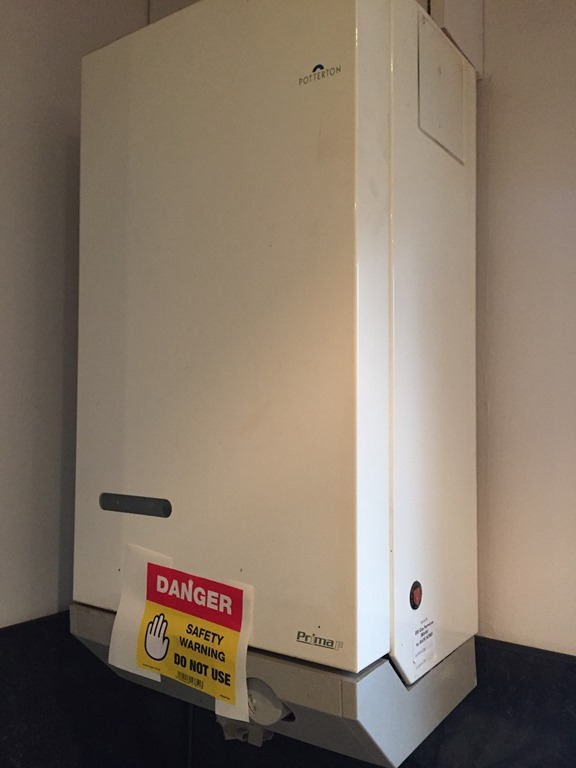 The boiler had originally been located in the utility room but it’s flue was deemed to be too close to an opening window and so was moved up to the loft. Unfortunately the clients are elderly and disabled and so having the boiler in the loft was clearly impractical. Moving the boiler back to the ground floor was always going to present a challenge with the flue as the only really suitable place was the original location. 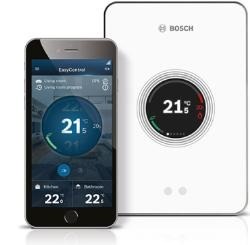 After some research it was found that Worcester Bosch had developed a horizontal flue which can be used on a pitched roof. 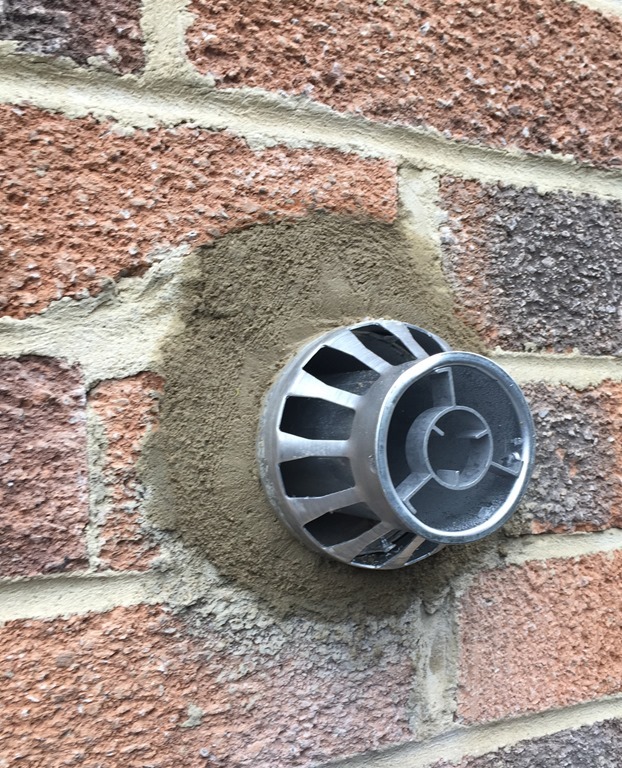 Other manufacturers weren’t able to offer the same setup because the paint used on the flue wasn’t UV resistant! 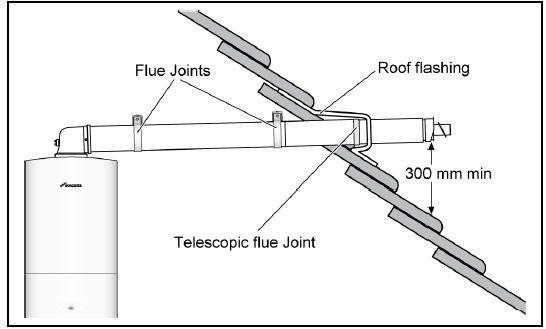 The Technical Bulletin (0042) describes how the flue can be fitted to the roof and all of the dimensions that need satisfying. 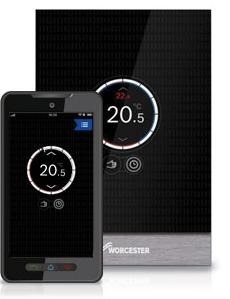 A Greenstar Worcester Bosch boiler was selected for its superior reliability and work commenced in uncovering the old pipework located in a tight space behind the kitchen cabinets. As with all boilers we fit a magnetic filter was supplied and fitted to the system to qualify for an additional 1 years additional warranty. 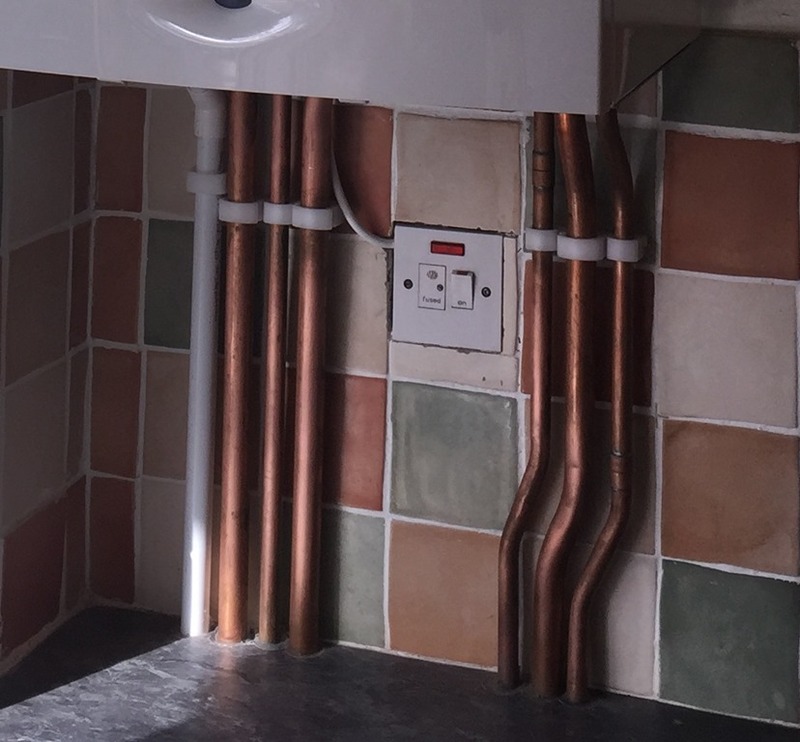 As the boiler was in the utility room it was obvious to us that the above bench pipework needed to be as neat as possible. 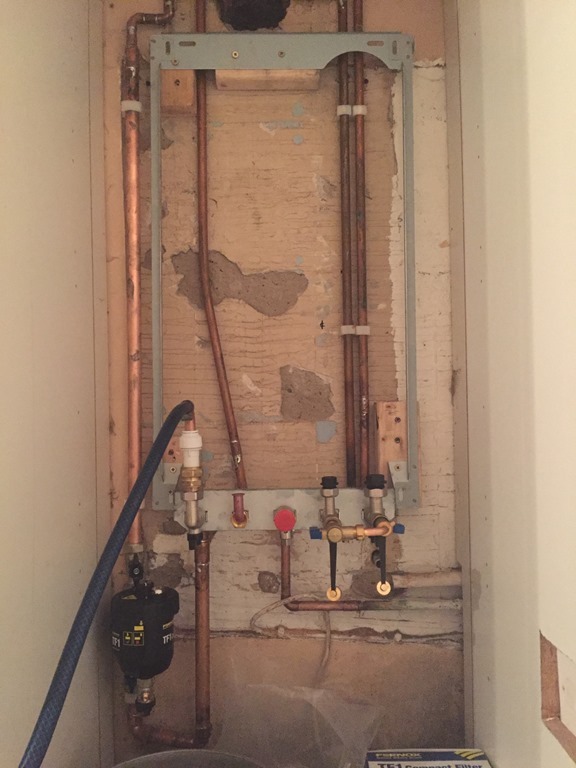 Making this neat and symmetrical was slightly complicated by a fused spur from the previous boiler being locate in the path of the gas pipe. 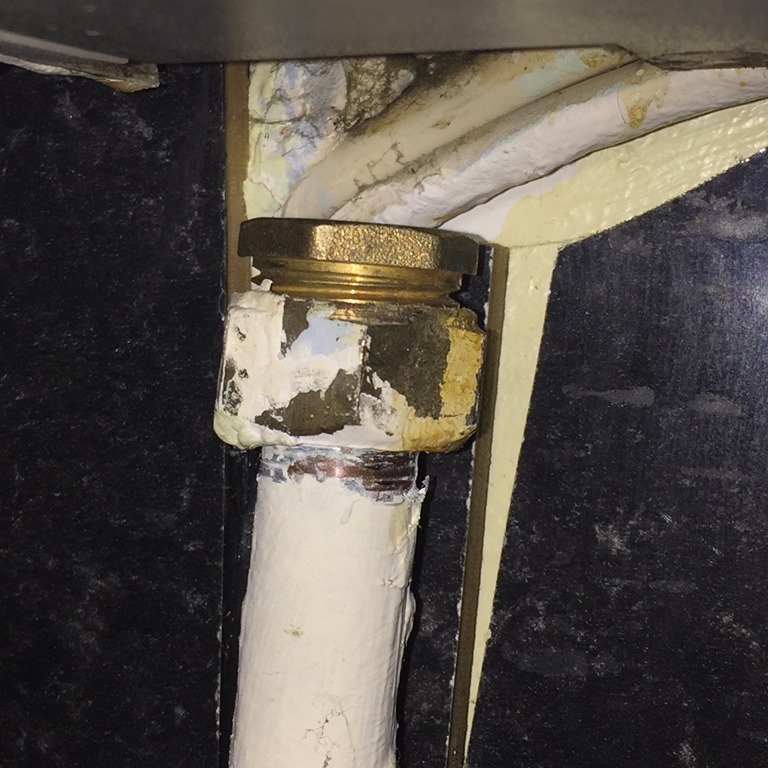 The gas pipe was moved to the left and the remaining pipes kept close to it so that a clear space could be left for the electrical outlet. 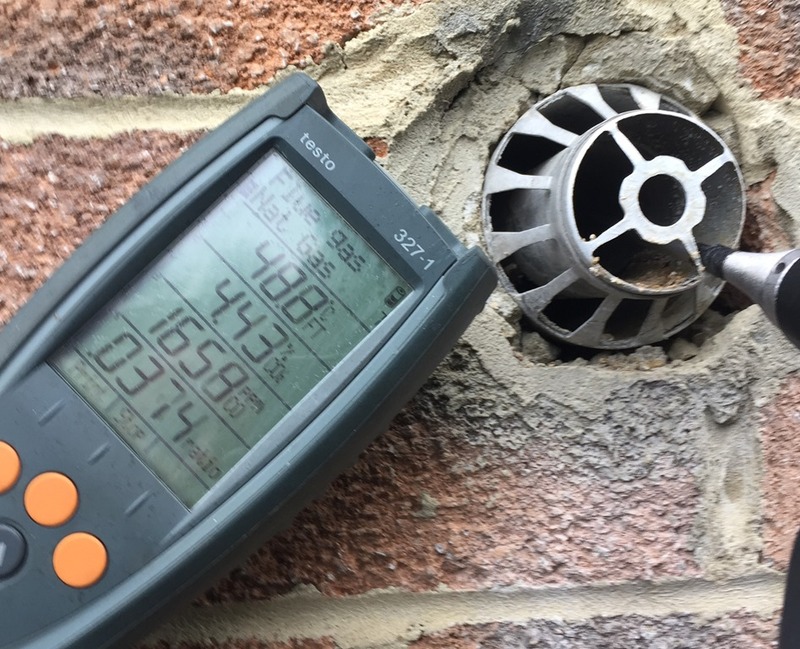 The trickiest part of the job was to make sure the flue was located in the correct position to allow it to comply with the Technical Bulletin’s specification. 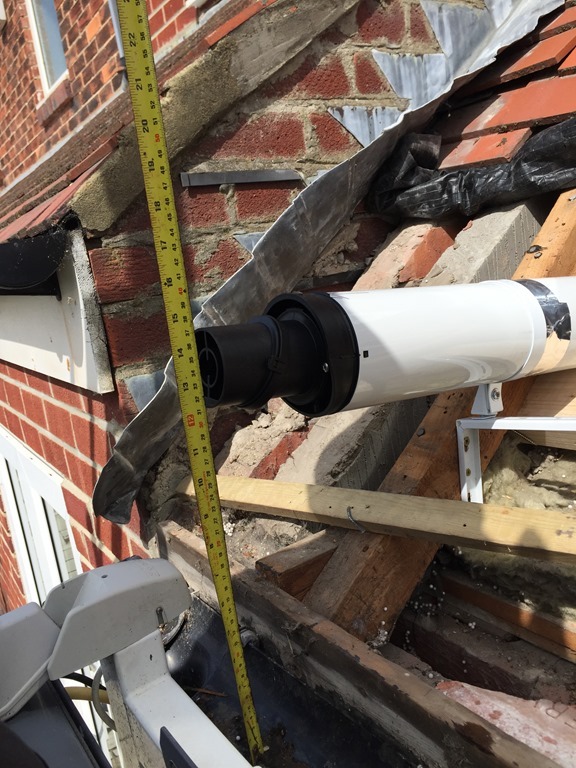 The main requirement was that the end of the flue had to be 300mm vertically above the surface beneath it to prevent snow from blocking the flue in another, “Beast from the East”, occurrence . This was going to be difficult on a roof with a pitch of about 30 degrees as the telescopic extension was only about 350mm long. A bit of quick school trigonometry. 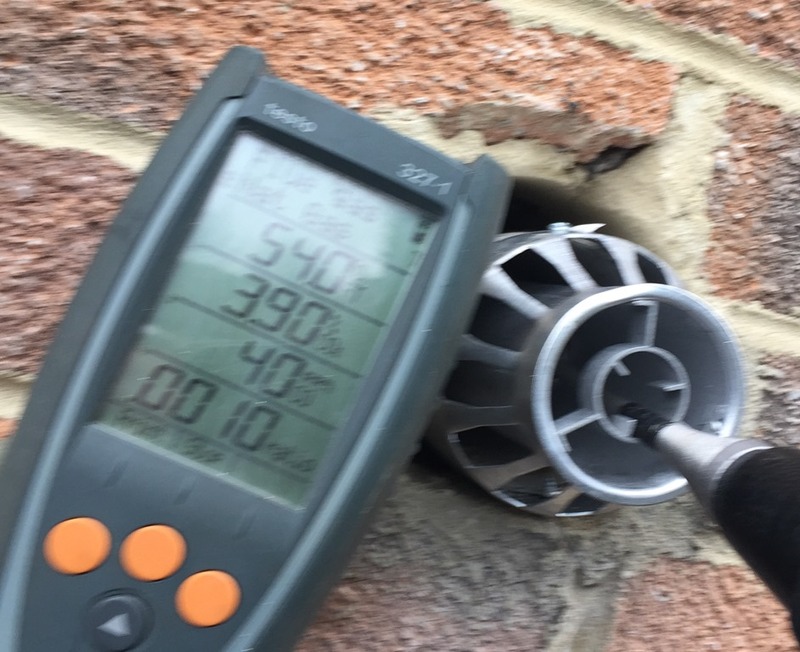 Clearly for a 30 degree roof the 220mm elevation is not enough and so the flue was extended to hang over the end of the roof meaning the vertical drop was down onto the guttering below. 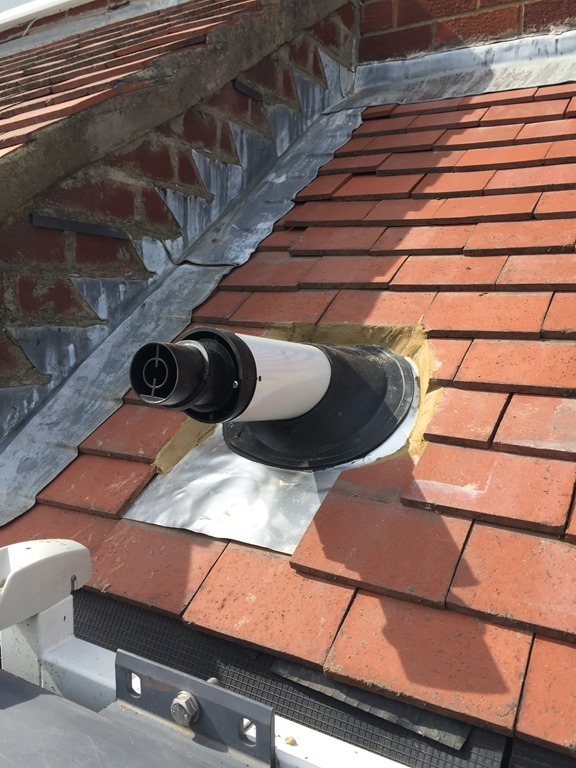 The flue was secured with proprietary hangers and the roof rebuilt and pointed in to reduce draughts. Finally a hatch was cut into the ceiling to allow for future inspections of the flue joints and the boiler in the loft was stripped out and taken away with all of the pipework disconnected and cut back to ensure it’s fully out of action. 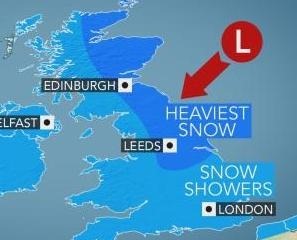 Derek’s Diary – “House Warmer” not that warm!! Derek’s been out and about buzzing around looking to help folks in this cold weather. 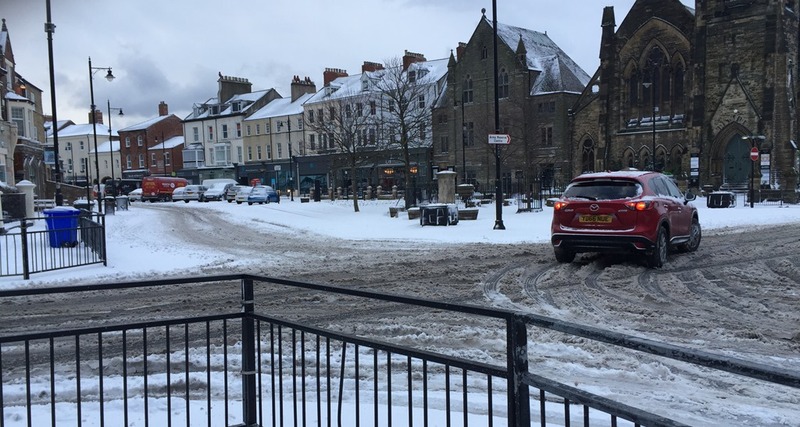 We were contacted by one young man who had just moved into a new house with a young family, in Tyneside, but had no heating or hot water. 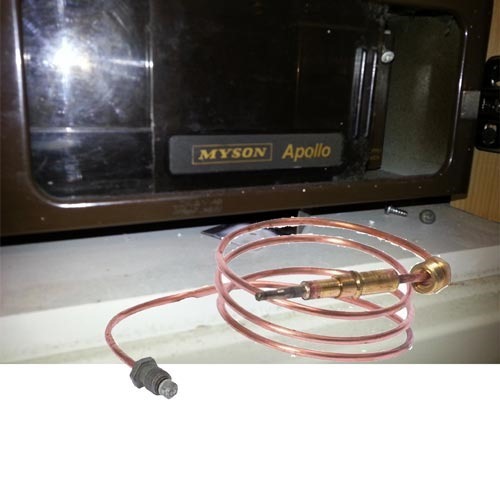 It turned out that the “Thorn-Myson House Warmer 30/45” wasn’t doing its job and so we set about fixing it. This is a dear old lady who ceased production in 1988 so we are looking at a 30 year old boiler. The first problem as a blown capacitor in the wiring centre, this was easily replaced. The picture opposite shows the capacitor exploding as voltage is sent across it. Then the pilot light didn’t work so this was also replaced. 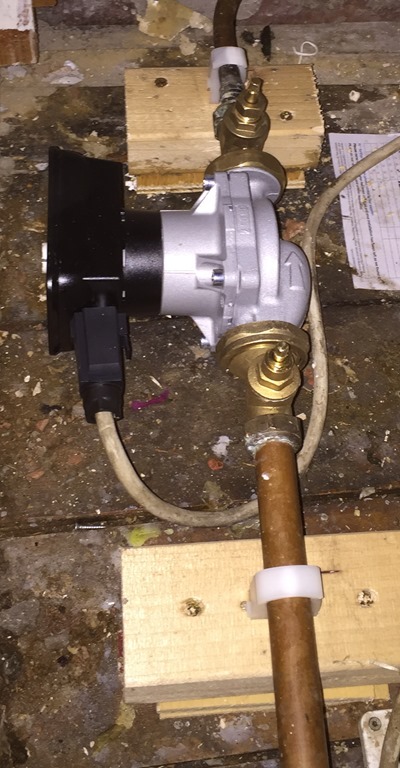 Finally it began to work but the circulation pump had sheared off, so that had to be replaced. The pump hadn’t been supported very well so we added some supports and new valves and now it works perfectly! It just goes to show that with a little TLC you can bring an old dear back to life. 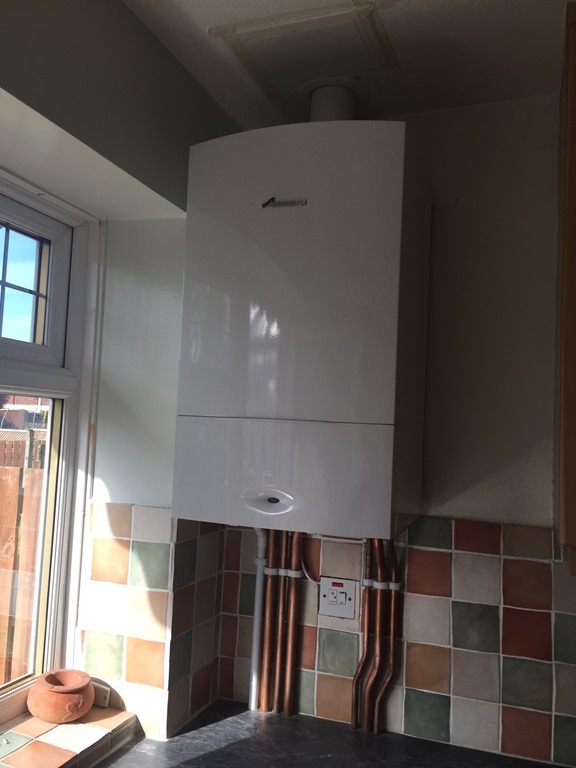 Our client, Paul, commented – An excellent job on an old, dated boiler and heating system which had not been maintained prior to me purchasing the property and had several issues. Richard was open and clear with expectations of potential issues and cost and endeavoured to sort it as quickly as possible, including coming out at weekends and evenings. I cannot fault the service provided at all. 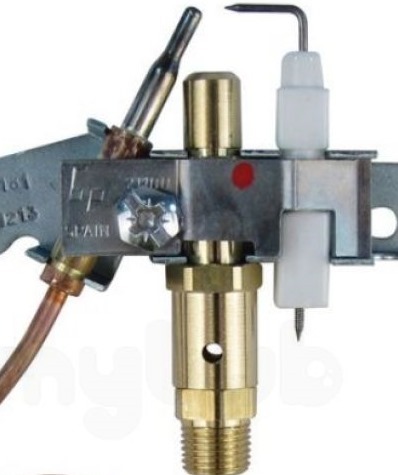 We don’t just fix boilers, but you probably know that! 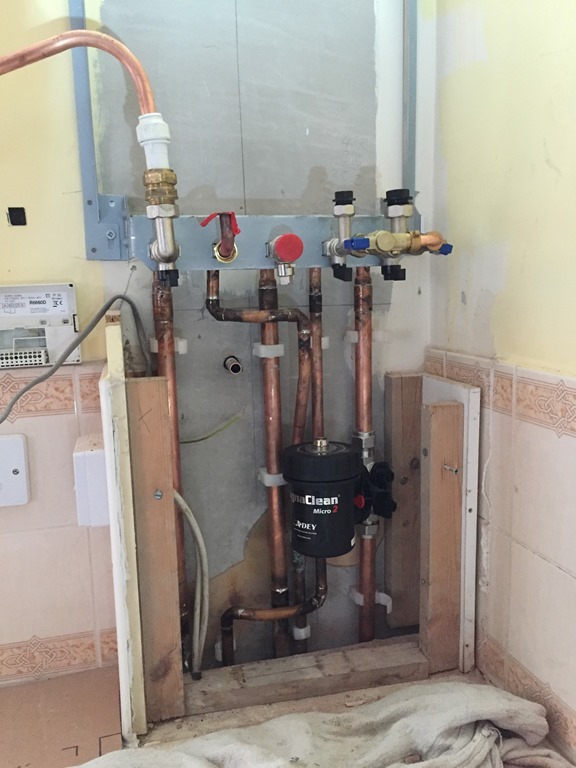 This week Derek has been busy fixing a lot of boilers, replacing pumps, finding leaks and getting gas ovens to work. In one job the gas oven’s automatic sparker would start all by itself and just keep sparking, this was driving the customer mad!! We found out that the flame was lifting off the burner because the burner was dirty and so we sent Derek into the hot oven to give it a good clean; after that it worked great. 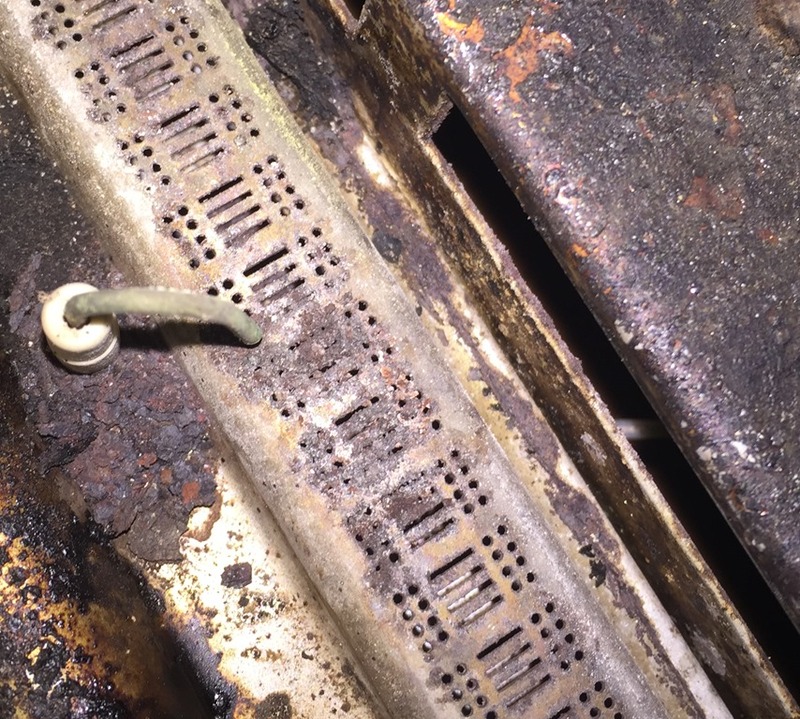 It just goes to show that cleaning your oven is important and can say you the cost of calling out a gas engineer to clean it for you. On another day Derek found himself in a loft with a few wasps and the odd bat! 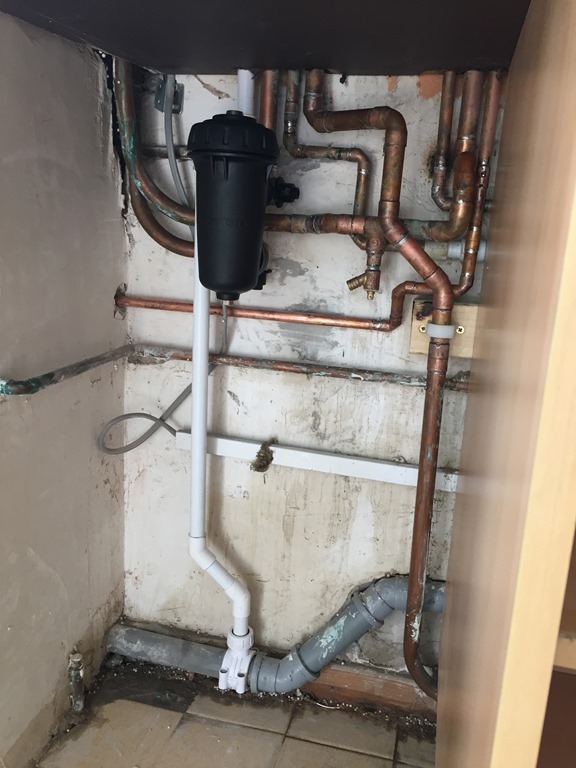 While he was up the, at the property in North Shields, he replaced the gravity feed central heating pump on an old Apollo boiler which was installed about 30 years ago. Unfortunately just as we replaced the main pump the thermocouple went as well so we replaced that too. Derek’s been a busy bee this week. We’ve been all over the North East fixing boilers and central heating systems. Our best job was to help out Nancy who had no heating at all. 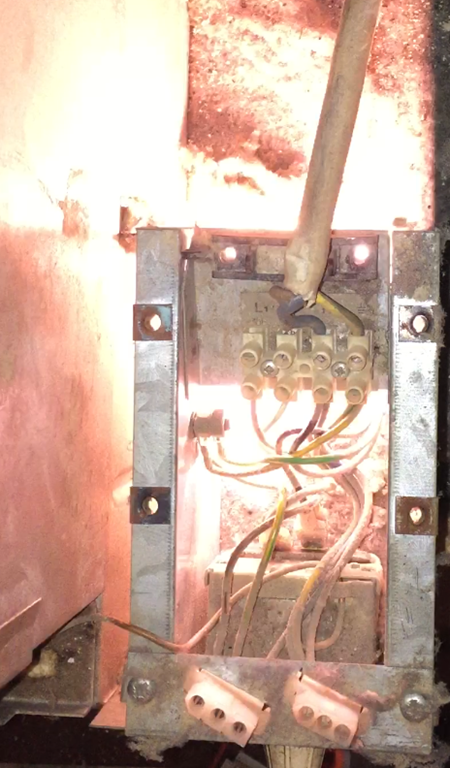 We arrived to find her boiler in about 100 pieces – not ideal; this is how the last gas fitter has left it. 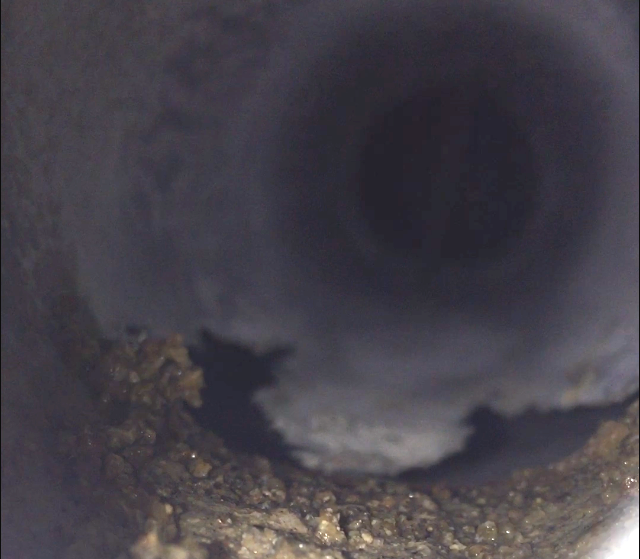 On closer inspection of the Ideal Icos HE24 we found that the condensate trap with clogged with boiler debris. 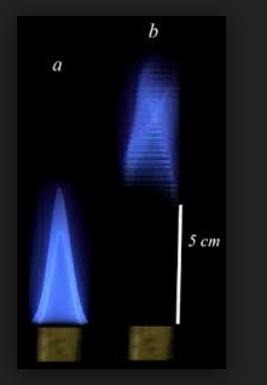 This would have made the combustion chamber fill up with water and eventually stop the boiler because it was under water! 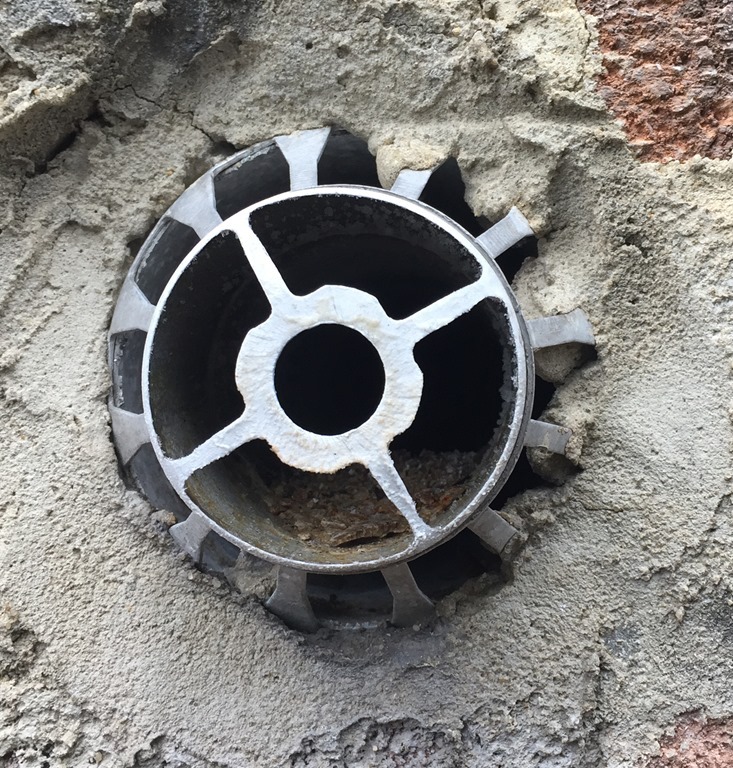 The solution was quite simple – the trap needed to be cleared of all the black sludge and then the whole boiler needed to be flushed through with 10 kettles of boiling water. And that’s what we did. Derek’s also been busy fitting Nest internet thermostats this week. We’ve fitted two actually. 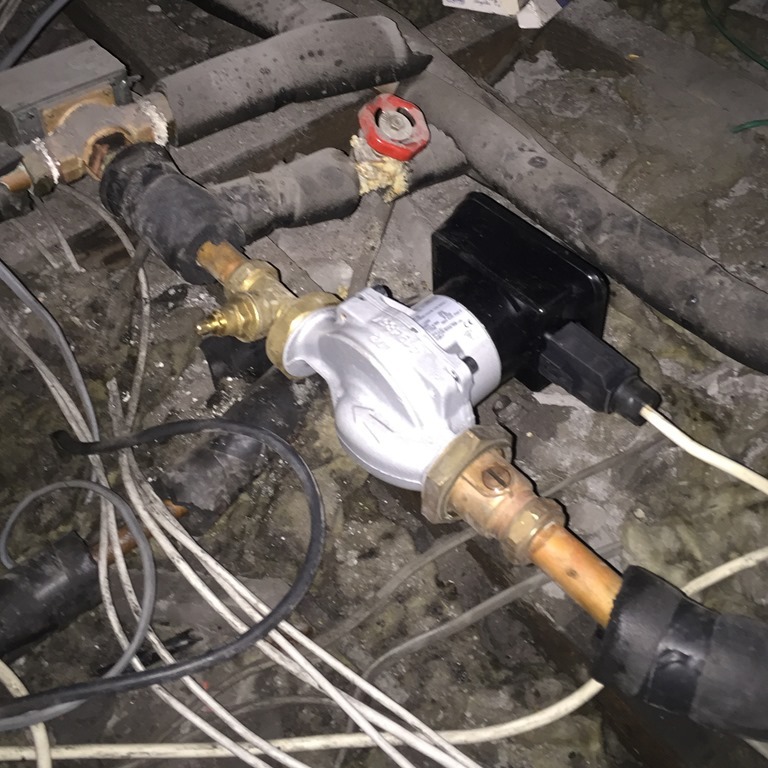 One was used to control the under floor heating at a terraced property in North Shields, the second was a traditional heating system in Whitley Bay, both customers were delighted with the operation and control they have of their heating systems. We are delighted to announce we are changing our name and placing a greater emphasis on our domestic plumbing and heating business. Macoun Energy Limited was formed in 2015 as a business designed to offer energy consultancy and then later plumbing and heating services to business and domestic customers in the North East, we have now decided to narrow down the business to offer just plumbing and heating services and felt that the name Boiler Bee would be a better name to demonstrate the type of business we are offering. 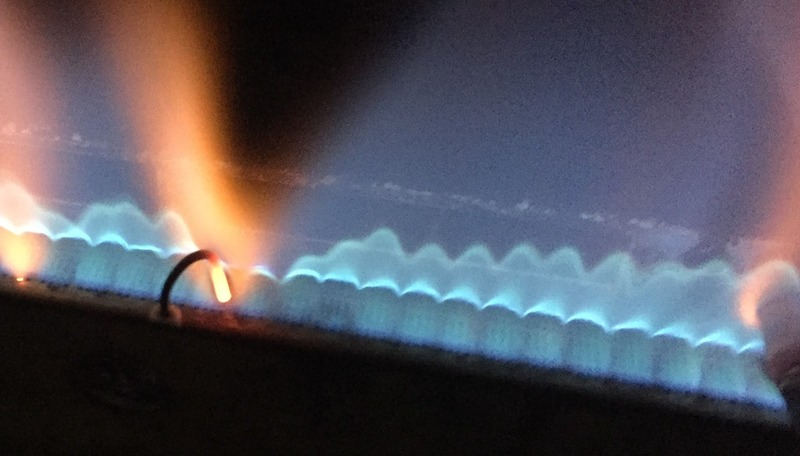 Over the past 3 years we have worked on hundreds of boiler, central heating systems, radiators and gas appliances such as gas fires and cookers. In that time it has become evident that there is shortage of businesses who can skilfully service and repair gas appliances. Far too often we have heard from customers that they have been told their boiler or gas fire is unsafe, obsolete and at the end of its life. As a gas safe engineer I know that if a boiler is unsafe it must be either repaired or replaced. However, all too often, the easier and more expensive option of replacing is chosen. 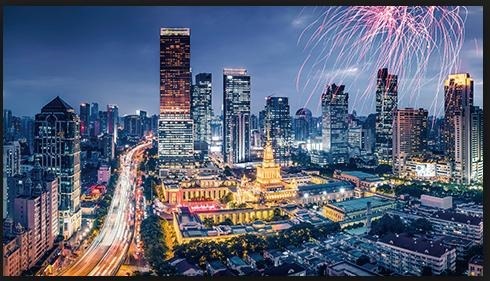 In some cases this may be because the gas engineer doesn’t feel confident in repairing the boiler or it may be that the company strategy is not to repair. My background is as a Mechanical Engineer, I have been taking machines apart and trying to put them back together for over 40 years! I believe everything can be fixed and so I promise to explore every angle and implement every repair before condemning a boiler. BEE CLEVER – Use US!